Thanks for Listening began as a simple idea: To document, in a studio setting, the tunes that singer, songwriter, and mandolinist Chris Thile had composed for the new “Song of the Week” segment of public radio’s A Prairie Home Companion during his inaugural season as host. Thile had set himself a formidable musical challenge and, as befits this enthusiastically risk-embracing artist, he was more than up to the task. In addition to traveling, planning, rehearsing, and performing on the fifteen episodes of APHC’s 2016–17 season, Thile managed each week to create a funny, topical, and at times quite poignant new song he would play with a rotating cast of APHC band-mates and guest stars. These were not throwaway radio bits, but smart, fully realized compositions. They served the needs of the show but were just as timely and engaging on their own. In July 2017, Thile went into New York City’s Reservoir Studios with producer and longtime friend Thomas Bartlett and that’s when these songs gained an even deeper resonance. As they listened through the APHC versions, Thile and Bartlett realized that, taken together, these songs could form an album-length narrative. Part of the story Thile found was autobiographical. Thanks for Listening represents perhaps the most direct and personal material Thile has ever recorded. It reflects the changes to his own peripatetic life as he assumes a new role as APHC host and, behind the scenes, as a new dad—while continuing to play with his band Punch Brothers and collaborate with such artists as Brad Mehldau, Edgar Meyer, and Yo-Yo Ma. We learn what delights him (like the Chicago Cubs winning the World Series,) and what alarms him (the polarized state of our nation post-election). But Thile also tells a broader tale—satirically, wistfully, frankly— about the divisions and disconnects plaguing America today, whether it’s on social media or at the Thanksgiving table. The overarching theme, Thile realized, was about the art of listening—the joys of it, the current difficulties of it, and the necessity of hearing what others have to say, not just the overwhelming desire to be heard. Listening, or the lack thereof, figures prominently on several tracks: “Feedback Loop” lampoons the way social media filters out all but those one agrees with, while “Modern Friendship” rues the way old pals can drift apart—and suggests that maybe sharing a well-made night cap could help solve that. “Stanley Ann” is a graceful imagining of what Barack Obama might have said to his late mom as he departed the White House in January. The deceptively cheerful “Falsetto,” on the other hand, is an all-too-kind speculation on how the current occupant of the White House might gracelessly scold an activist entertainer—managing to insult the singer’s “girly falsetto” in the process. The arrangements have an intimate, dream-like quality to them; the songs feel like reveries, not statements. Thile’s voice is at times double- or triple-tracked, cossetted by subtle echo. He delivers vocal takes that are by turns wry and soulful, frequently deploying a lovely falsetto in an especially evocative way, more Beach Boys than bluegrass. The chorus of “Thank You, New York,” performed with singer Gaby Moreno, is a vocal stand-out, a nose-thumbing good riddance to the turbulent year that was 2016 (and a nod to the resilience of New York City and its occupants). 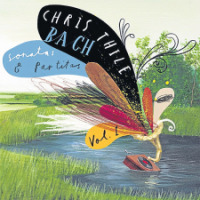 Thile’s mandolin playing remains front and center—and it the sole instrument on “Balboa” —but it is often bolstered by Bartlett’s subtle, slightly mysterious, layering of keyboards and electronics. “I was deeply desirous of a record that sounded like it was coming from your own head. That’s where we veered away from a more archival studio approach—where you go in, perform the songs, and record exactly how those performances sounded,” Thile says. “The recordings on Thank You for Listening are more fanciful in construction. Like Thile, multi-instrumentalist Bartlett is a musical polymath, comfortable in diverse collaborative situations. He often sits in with the National; he plays piano in the Irish Music group The Gloaming; and he occasionally performs on his own under the Doveman moniker. Rather than enlisting a full APHC-style band in the studio, the pair conceived the project largely as a musical dialogue between them—a listening session of their own, if you will. The original “Song of the Week” versions can be easily accessed via YouTube, now that all the APHC shows are live-streamed and subsequently archived. The performances are full of personality and humor, as Thile, a dependably energetic live performer, interacts with a roster of players that include various Punch Brothers, brilliant guitarist Julian Lage, and Sara Watkins and Sean Watkins of Nickel Creek. Contrasting these versions with the new studio recordings, one can appreciate the sort of magical transformation that took place at Reservoir Studios, one that was more about inspiration than analysis. The process effected a transformation on Thile too: “Before hosting Prairie Home, I would listen to music much the way an athlete trains. Listening was like hitting the gym, like a pitcher strengthening his rotator cuff. I was listening to improve specific aspects of my musicianship or nourish it in specific ways. The hosting has brought me back into being a music lover, just listening with the idea of enjoying the three to five minutes of a performance, not worrying about whether it’s rendering my sense of counterpoint more sophisticated or increasing my knowledge of how sonata form works or giving me more arrows in my improvisational quiver.” He continues, “It’s just—‘do I like this? Is my life better since listening to this song?’ That’s what I care about now. 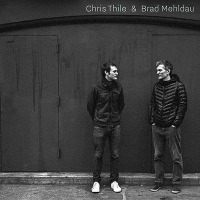 Mike Marshall and Chris Thile, "Live Duets" Available January 24, 2006! All About Jazz musician pages are maintained by musicians, publicists and trusted members like you. Interested? Tell us why you would like to improve the Chris Thile musician page.